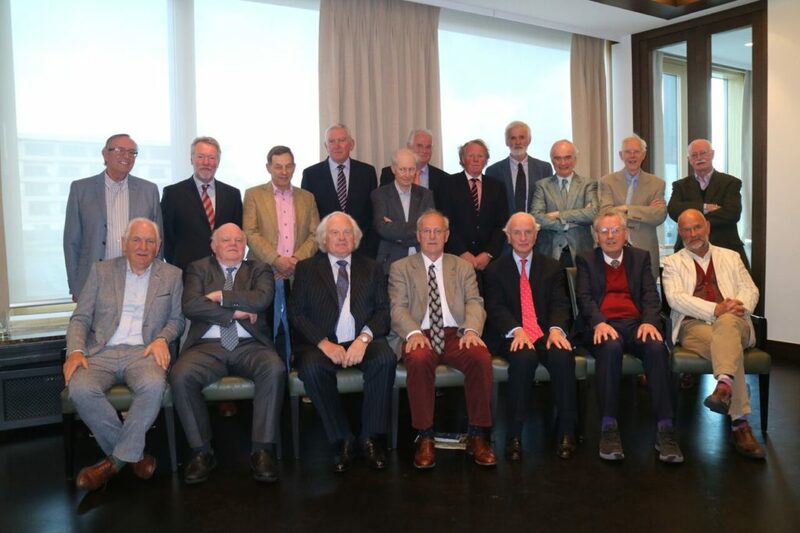 Recently the leaving class of 1967 met in Kerry for a 50th reunion of leaving Glenstal. Many had not met since departing and there was some anxiety generated as to what the responses would be to such a project. 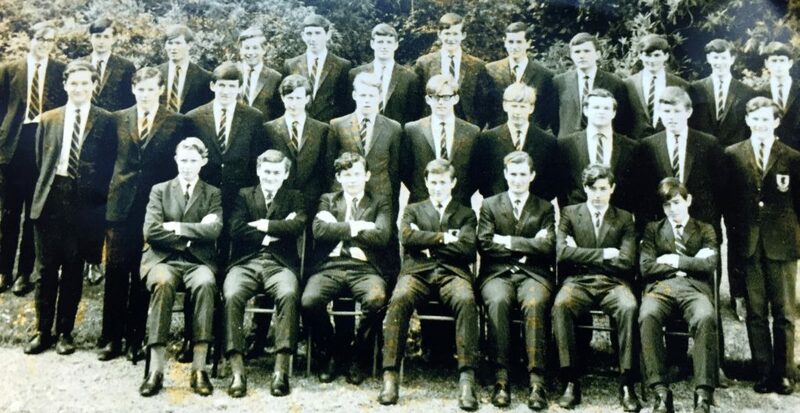 Using Ubique 2015 the class was listed as 29, however there were two others who had started with the majority who had left during the course of their studies, and were considered to be members of the class of 1967 – Peter Magnier (1966) and Ted (Terence) Hederman (1965), making a total of 31. Sadly during the intervening years 5 had deceased – Robert Griffin (2001), Paul O’Sullivan (2009), Martin Owens (2009), Hugh Kennedy (2011) and David Egan (2016) – now 26. Using the data available – e-mails and addresses contact was made with most; however 3 persons even using personal contacts did not respond – 23. 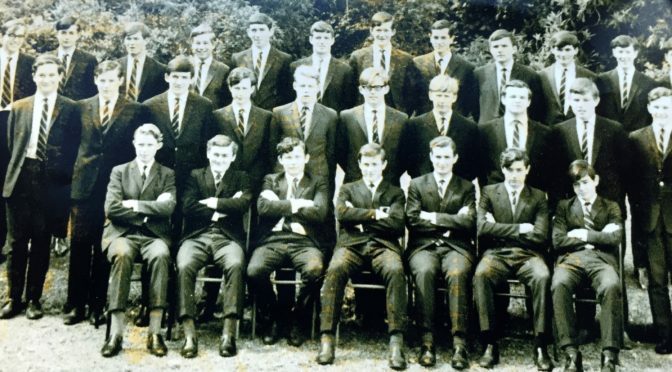 Four of the classmates who responded; two had planned to be abroad at the time – Australia and China, one who returned to Glenstal for another year was hesitant about joining the class of 1967, and the fourth who had agreed to come from America – got held up with his travel arrangements following a fishing trip to Canada – 19. On the Friday 12th golf was arranged at Dooks Golf Club near Glenbeigh – seven men and three ladies played a stableford scoring competition in a very sunny and warm afternoon. Afterwards the group and others who had arrived had dinner at Jacks Restaurant in Cromane. On Saturday 13th evening the group met at The Europe Hotel in Killarney for dinner at which 18 “old boys” attended (the “one” was excused as he was previously engaged – but had provided chocolates as prizes for the golfers). Accompanying some of the men were their spouses – some 10 ladies making a total of 28 guests who died (sic) in style in a secluded private area of the Lakeview Restaurant. The group adjourned to the nearby bar and most had got to bed by 02.00 hrs Sunday morning. The meeting was deemed a very successful event and plans were agreed that we should meet again in 5 years time (2022). Front (L-R): Michael O’Connell, John deVere White, Patrick Bradley, Declan Carroll, Andrew O’Hanlon, Fred Powell, Andrew Dillon. Fred Cudmore (was absent from this photograph). Front (L-R): Charles Dudley, Charles O’Sullivan, Patrick Bradley, Declan Carroll. Andrew O’Hanlon, Peter Fallon, Andrew Dillon. Back (L-R): Michael Daly, Martin Owens, Richard Whelehan, Paul Morris, Aongus Twomey, John O’Sullivan, Ray Glynn, David Egan, Fred Cudmore, David Freeman, Bernard Murphy, Thierry Blacque.